Happy Wednesday! I hope you're having a great week! Mine has been super busy with work, mom duties, and you know, just like in general. For some reason, a non-stressful morning is non-existent is our home. Anyone else feel this way?! I pick out all of the clothes the night before, have book bags ready, lunches and snacks packed... you know all of the things. We are ready but it never fails. Something happens. Usually tears or someone screaming at someone else. Or a lost shoe. But today, it was wildlife. Yes, wildlife! First, it was a wasp on the bottom of Julianna's pajama pants in the kitchen. Mom very bravely handled that situation (but was slightly freaking out of the inside because I don't like stinging insects)! Next up, was another creature in our laundry room (which is on the second floor of our house). I thought I heard something yesterday morning when I was folding laundry but thought maybe my shoe just made a sound. I heard something again as I was getting ready this morning but totally thought it was our dog until I heard the girls talking to her downstairs. I'm not going to lie... it was scared me because it literally sounded like feet. Big feet. All heck broke loose when the girls came upstairs and heard it too. Screams that could probably be heard all the way down our street! Tears. All of the usual stressful stuff that happens but for a much different reason. The girls were jumping onto my bed for refuge as I again... very bravely saved the day by... closing the laundry room door and calling their dad. Haha! I reported to him that Olivia thought a platypus was occupying our laundry room based on the sounds she heard. I'm pretty sure it's just a bird building a nest in the dryer vent but it sure freaked us all out pretty good this morning! 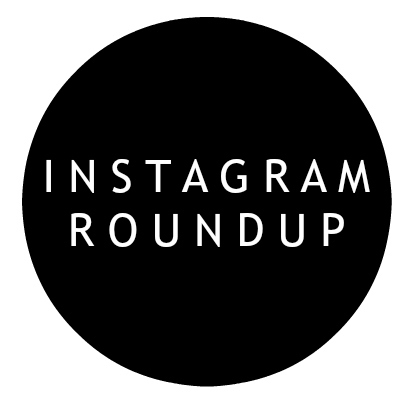 Today, other than my crazy morning, I'm sure my weekly Instagram Roundup, including outfits and more from last week. 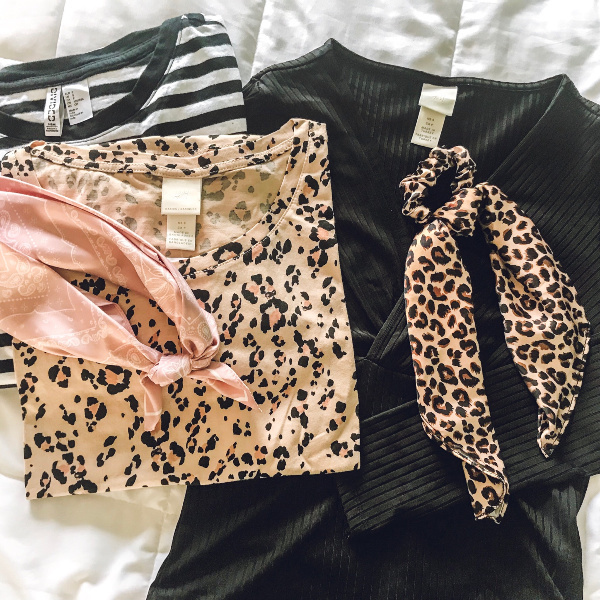 Still loving neutrals, all of the leopard print, and pink! 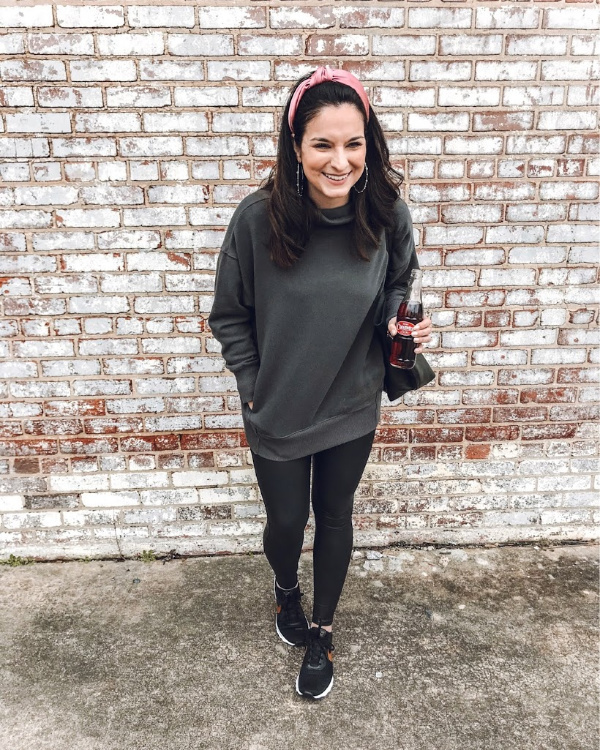 Leggings and a sweatshirt made just a little bit fancier with fun hoops and the gold swoosh on my sneakers. This will forever be my go-to look! 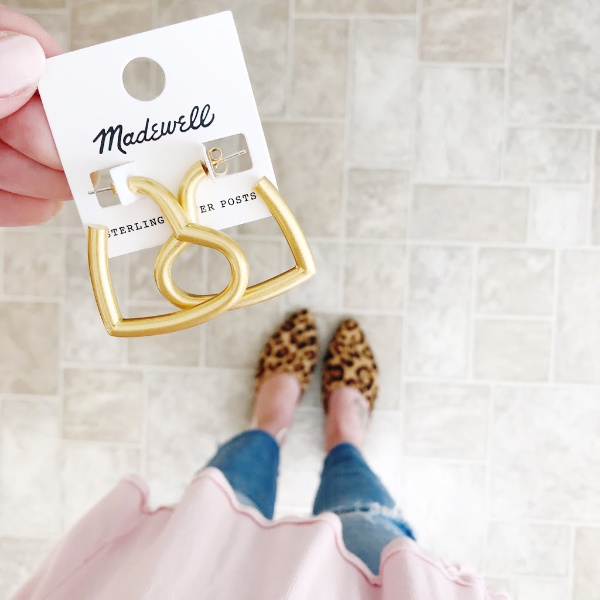 How fun are these earrings?! 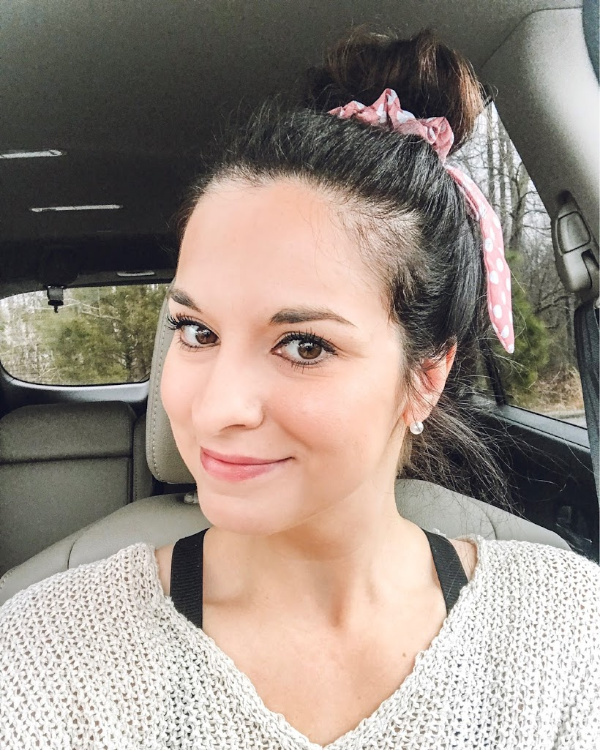 I am all about hearts this week and everyday! 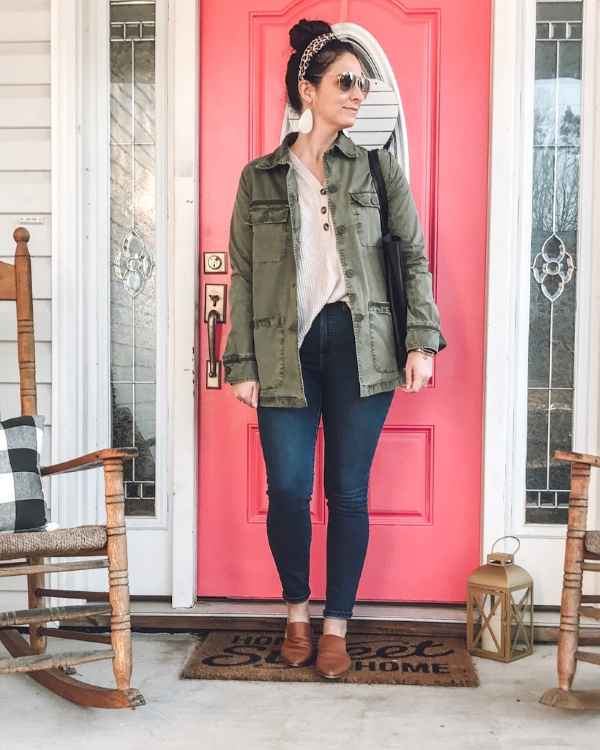 One of my typical mom uniforms. I love how the leopard headband brings together the brown and black in my outfit. And... a headband makes my bedhead look chic. Haha! I've owned this shirt for a couple of years but Madewell keeps bringing it back. It's a closet staple and so comfy to wear. 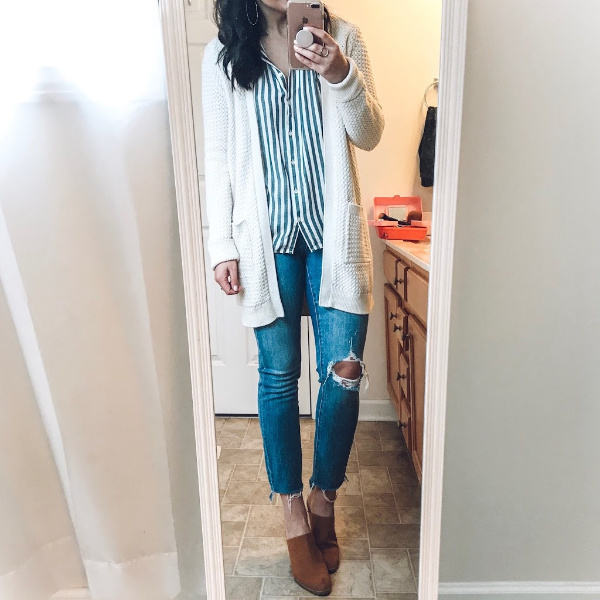 I paired it with a cream cardigan to stay warm but it's also great for spring and summertime. I always wear it with shorts when it's warm. 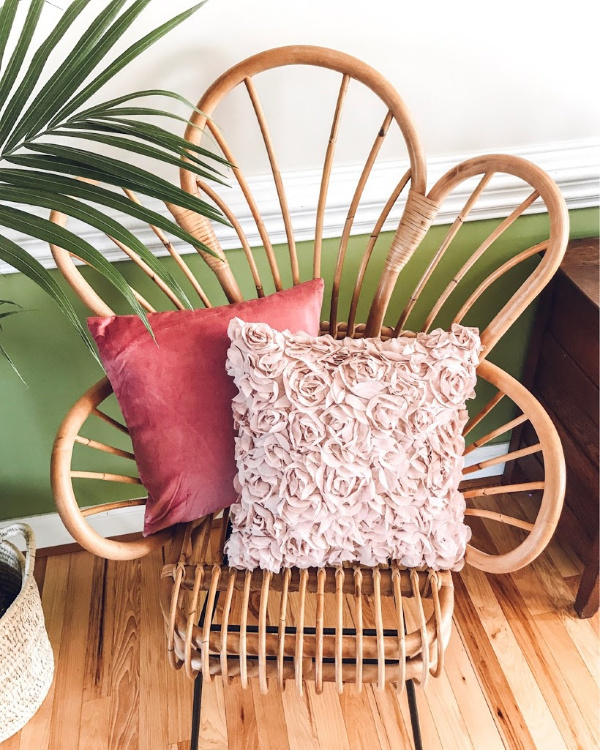 I transformed some tacky pineapple pillows from Walmart into something so much prettier by simply adding these pretty cushion covers. They are budget friendly too! 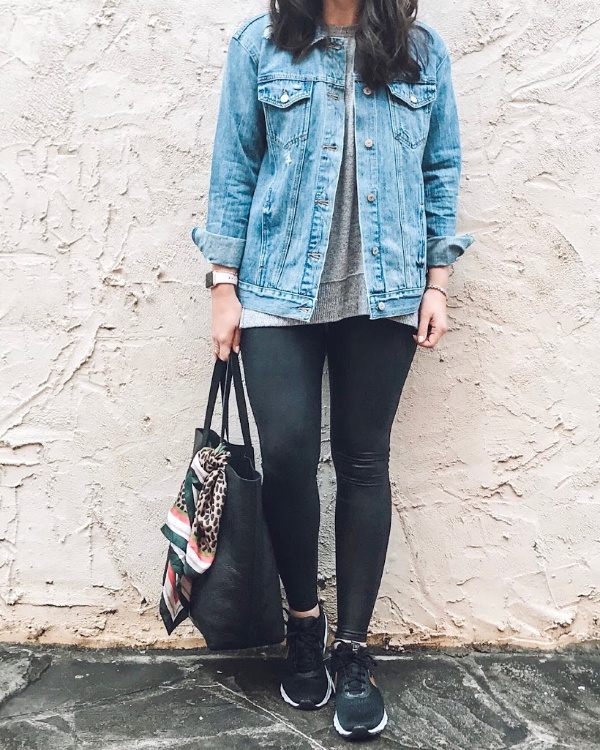 I can't stop wearing this boyfriend fit denim jacket. I sized up to the medium for an extra relaxed fit and I love it. Dress it up or down! I'm also currently loving all hair accessories because they made a simple bun even better. This is my most recent H&M haul and each piece is $15 or less. So many great quality items that are incredibly affordable! Clearly I am really loving leopard!